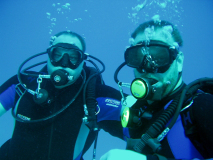 There so many types of diving, to dive in shallow water or in the deep water, but is most famous and well practiced types of diving are: one dive or two dives. You will be picked from you hotel to where you will dive. Lunch is included. 35$ per person 50$ per person. Prices in US dollar but Euros, Sterling and Egyptian pounds are accepted.